With John Kerry in Havana today, Max Friedman and my op-ed in the Orlando Sentinel argues that this stroke of diplomacy begets wider benefits for the United States in the Western Hemisphere. On Friday, Secretary of State John Kerry will raise the flag over the U.S. Embassy in Havana. His visit caps the new trend. Diplomacy is back in the Americas. The secret talks that led to the re-establishment of U.S.-Cuban diplomatic relations are just the highest-profile example. 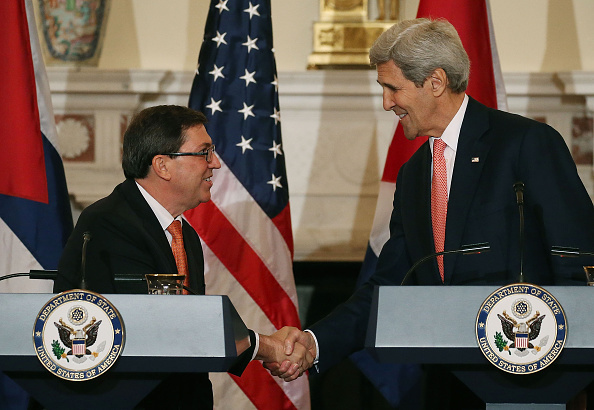 For years, Latin American leaders have pressured and cajoled the United States to change its Cold War policy on Cuba. Finally, the Obama administration listened. Having done so better positions the United States in the hemisphere. Read the rest at the Sentinel. By tsl2m5 in Uncategorized on August 14, 2015 .